The California bar prosecutor who led a statewide investigation into prosecutorial misconduct seems to have engaged in a little prosecutorial misconduct herself. 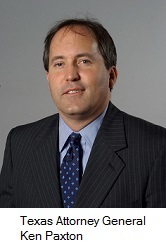 According to an affidavit from Alabama attorney Jason Yearout, Deputy Trial Counsel Cydney Batchelor contacted him about evidence that was favorable to the defense of attorney Wade Robertson, but when Mr. Yearout confirmed the exculpatory evidence, Ms. Batchelor repeatedly said she was not going to document their conversation. In other words, Ms. Batchelor strongly implied that she was planning to cover up the evidence. Bothered by this, Mr. Yearout notified Mr. Robertson about his conversation with Ms. Batchelor, and Mr. Robertson waited two weeks to see whether Ms. Batchelor would disclose the evidence on her own. Last Thursday, Mr. Robertson finally notified an appeals panel that the state bar prosecutor had withheld the exculpatory evidence. This afternoon, I filed grievances against Ms. Batchelor and her co-counsel, Robert Henderson, and I asked the California AG and San Francisco DA to open a criminal investigation. Back in 2010, the Innocence Project identified more than 130 California prosecutors who had been accused of misconduct by judges or other officials, yet never prosecuted by the state bar. Some of the cases were never referred to the bar by the courts, even though the courts had chastised some of the prosecutors for withholding exculpatory evidence. James Towery, the bar’s chief trial counsel at the time, appointed Ms. Batchelor to investigate whether charges should be filed, and Ms. Batchelor has in fact prosecuted prosecutors for withholding exculpatory evidence. In 2010, for example, Ms. Batchelor obtained a four-year license suspension for former Santa Clara County Deputy District Attorney Benjamin Field. Among other things, Mr. Field was accused of withholding exculpatory evidence. Physician, heal thyself. In the interest of full disclosure, I should admit that I have a dog in this fight. As explained in my letter to the bar trustees, I represented Mr. Robertson in several of the federal cases in D.C. that led to the disciplinary charges in California. Now, having admitted my biases, it’s only fair that I ask whether Ms. Batchelor has a dog in the fight. Mr. Robertson has already obtained emails indicating that Ms. Batchelor and Mr. Henderson communicated regularly with the attorneys for William C. Cartinhour, Jr., who is Mr. Robertson’s former business partner. As I’ve explained on DirtyRottenJudges.com, Mr. Cartinhour obtained a $7 million verdict against Mr. Robertson in a D.C. federal court. That, in turn, led to the disciplinary charges in California. 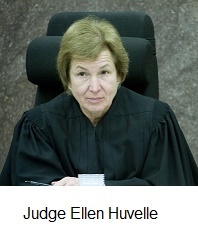 After trial, we learned that Mr. Cartinhour’s attorneys had been secretly communicating ex parte with the presiding judge, U.S. District Judge Ellen S. Huvelle, around the same time that Judge Huvelle was covering up some of the crimes that they had committed in her courtroom. We also learned after trial that Mr. Cartinhour is a paranoid schizophrenic and a pathological liar, and that his attorneys tampered with his medical records to conceal that information from the jury and Mr. Robertson. Worse, Judge Huvelle may have learned about the schizophrenia during ex parte communications with witness Stanley Slater, who was Mr. Cartinhour’s psychiatrist. If so, she never informed the jury or Mr. Robertson that Mr. Cartinhour suffered from schizophrenia. And since Mr. Cartinhour was the primary witness in his own case, I think the jury should have known that he suffers from an illness that alters his perception of reality, makes him hallucinate, and renders him pathologically prone to lie. But I digress. After we learned about the fraud on the D.C. court, Mr. Robertson and I notified Judge Huvelle and the California bar, but they just ignored us. Mr. Cartinhour’s attorneys kept trying to recover some of the $7 million verdict from the California Client Security Trust Fund (a fund that reimburses clients who are ripped off by their lawyers), and Ms. Batchelor and Mr. Henderson kept trying to help them (hence the email communications with Mr. Cartinhour’s lawyers). Meanwhile, the D.C. bar rejected Mr. Cartinhour’s request for reimbursement from its client security trust fund. The D.C. bar did not specify the reason, but perhaps it was because the jury in Judge Huvelle’s court had expressly rejected Mr. Cartinhour’s fraud claim. And now, to add insult to injury, it appears that Ms. Batchelor has withheld exculpatory evidence in order to “win” her frivolous fraud case against Mr. Robertson. So why is Ms. Batchelor so determined to disbar Mr. Robertson? We know that she has been communicating with Mr. Cartinhour’s attorneys, but I have to wonder if she is also acting at the behest of Judge Huvelle. Maybe I’m paranoid, but if Judge Huvelle was willing to communicate ex parte with my opposing counsel, I don’t think it’s a stretch that she would communicate with a bar prosecutor in California. You may recall that the federal bar in D.C. has held my bar grievances against Mr. Cartinhour’s attorneys in limbo for more than a year, refusing even to investigate them (and I have circumstantial evidence that Judge Huvelle interefered with a previous grievance against those same attorneys). Meanwhile, the same committee that refuses to investigate the felony misconduct of Mr. Cartinhour’s lawyers is trying to disbar me based on Judge Huvelle’s accusation that I filed a frivolous case on behalf of Mr. Robertson. I don’t think that’s a coincidence. And don’t doubt the lengths to which powerful people will go in order to protect one another. Early in April, I reported that President Obama’s nominee for the Supreme Court, Chief Judge Merrick Garland of the D.C. Circuit, had gone to some pretty unusual lengths to cover up Judge Huvelle’s misconduct. Last Monday, I reported that U.S. District Judge Harry Lee Hudspeth of Austin quietly retired, apparently to avoid judicial discipline for his role in protecting U.S. District Judge Walter S. Smith, Jr. of Waco. * (I had filed judicial misconduct complaints against Judge Hudspeth and Judge Smith after learning that Judge Smith grabbed and groped a female clerk in his chambers, and Judge Hudspeth allegedly covered it up). And last Tuesday I reported that the State Bar of Texas derailed my grievance against Attorney General Ken Paxton, even though Mr. Paxton had been indicted for the very offenses outlined in my complaint (more on that below). That’s all within the last month. Is Ms. Batchelor trying to protect someone else? I can’t prove it yet, but for the time being it doesn’t matter. If she withheld exculpatory evidence from Mr. Robertson and the appellate panel, she should be fired, disbarred, and criminally prosecuted. What’s good for us peons is good for Ms. Batchelor. Two days after my post about Attorney General Paxton and the State Bar of Texas, Texas Lawyer published a story in which bar officials claimed that it was standard practice to defer a disciplinary case while a criminal case is pending. Unfortunately, Texas Lawyer did not ask me for my side of the story. According to Texas Rule of Disciplinary Procedure 15.02, “[t]he processing of a Grievance, Complaint, Disciplinary Proceeding, or Disciplinary Action is not, except for good cause, to be delayed or abated because of substantial similarity to the material allegations in pending civil or criminal litigation.” If the Texas bar’s Office of Chief Disciplinary Counsel routinely defers disciplinary cases while criminal charges are pending, then it routinely flouts the rule. I can think of some legitimate arguments for changing the rule, but I don’t think OCDC should be in the habit of ignoring the rules that it does not like. Furthermore, OCDC sometimes does pursue disciplinary charges that overlap with criminal charges. The bar prosecuted my grievance against former Robertson County District Attorney John Paschall, for example, even though Mr. Paschall was indicted for (and later convicted of) an overlapping criminal charge. Why the difference between the treatment afforded Mr. Paxton and the treatment afforded Mr. Paschall? * After I published the post about Judge Hudspeth last week, I learned why the Fifth Circuit has not acted on my misconduct complaint against him. In a February 22, 2016 letter, a deputy clerk wrote that the chief judge was holding my complaint in abeyance pending the outcome of my appeal of Judge Smith’s punishment. Unfortunately, the U.S. Postal Service did not deliver the letter, and I did not receive a copy until the deputy clerk emailed it to me last week. I hope that you filed a Grievance against Christine E. McKeeman, TX BODA, as you explained you would—for the FACT that BODA’s “standard DENIAL letter” DOES NOT give Complainants NOTICE of a Right to AMEND the Grievance within 20 days. If you FAIL to get your Amendment in within 20 days…YOU ARE FINALLY DENIED & DISMISSED…please don’t forget —OCDC, BODA, CLD and GOC…have been maladministering the TX Discipline system since 1/1/2004…I believe that they will be BOOTED by The Supreme Court (SOON) but, in the meantime, they are just doing what they have always done…(even after Maureen E. Ray, OCDC, was forced to give up her bar card!!!). There is no one who knows anything or cares! From my own first hand experience, I know that OCDC and BODA staff send out absurd Notices – with no basis in Law – but NO ONE is watching them. If you DO NOT APPEAL in 30 days or AMEND in 20 days, that’s all it takes…YOU WILL FIND YOUR GRIEVANCE DENIED, DISMISSED AND CONCEALED in a (“secret”) confidential CLOSED FILE. You can write thousands of pages of objections but NO ONE ever even reads them! There is no one even “in charge”…I have had DENIAL NOTICES sent to me with no SIGNATURES of the CDC DENIER & DISMISSER!!! I have had REJECTIONS of Grievances (OCDC refuses to classify my Grievances!) with Notices addressed to me but the NAME of the potential Respondent is NOT ON THE LETTER!! !…OCDC has been corrupt for so long…there is not a single, solitary person with professional integrity in the WHOLE BUNCH! IPR, Section 3:01 Notice of Right to Appeal requires that rules of TRDP 2.10 or other applicable rules apply, including a FULL EXPLANATION of why the CDC finds no violation of the TDRPC – to both the Complainant and Respondent of the dismissal of the Grievance “writing” as an inquiry. TX GV Code, Section 81.072 (o) provides that when dismissal of a Grievance is FINAL, the Respondent Attorney may thereafter deny that a grievance was pursued and may file a motion with the tribunal seeking expunction of all records on the matter.